NEW YORK – April 9th , 2019 – CVE North America (NA) launched its community solar offering, branded Halo. It is starting with one acquisition in Acushnet, Mass. and several builds for the Solar Massachusetts Renewable Target (SMART) program. CVE NA ranks among the top ten competitors in capacity submitted to the program. CVE NA submitted seven solar installations, totaling 36 MWDC to SMART. By 2021, the company will add another ten projects to its North American portfolio. 29 MWDC of additional community solar will be built in Massachusetts and in New York. Halo community solar allows individuals and companies – who cannot or do not want to install solar panels on their roofs – to access solar energy without any upfront cost. CVE NA builds and operates the Halo solar installations that deliver clean electricity to subscribers’ local grid. Subscribers then receive solar credits that are applied to their electricity bill. They provide savings of up to 10 percent per month. Through the Halo digital platform, subscribers can see the amount of money they are saving, how much electricity their solar panels are producing and how much carbon emissions their subscription is off-setting. The Acushnet community solar installation is producing 650kWDC of clean electricity. It will provide the first savings to commercial and residential subscribers in July 2019. The clean electricity produced is enough to offset 700,000 pounds of CO2 that would otherwise be emitted by conventional sources of electricity. This project alone amounts to planting over 3,600 mature trees or taking nearly 700 cars off the roads for one year. As part of the SMART program, CVE NA is developing community solar projects in New Marlborough, Russell, Tolland, Westhampton, and Peru. These projects are set to be in operation at the end of 2019 and early 2020. 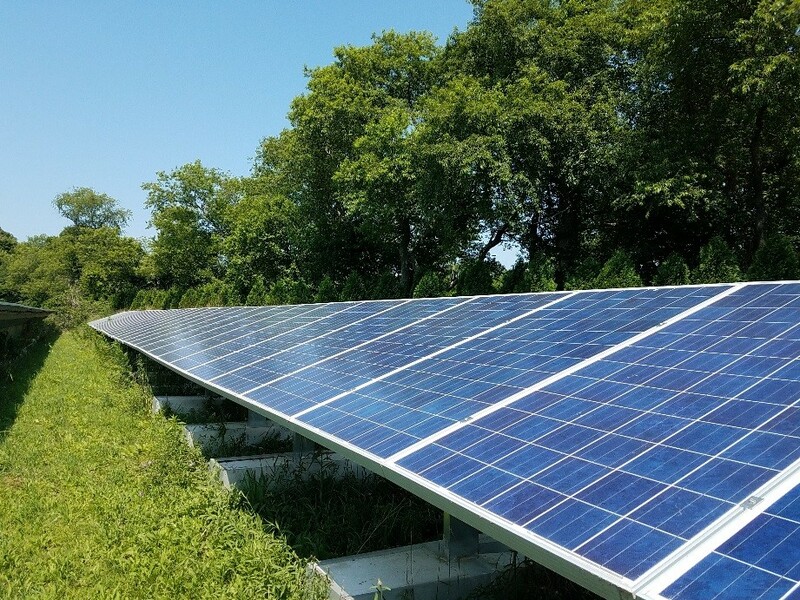 Community Solar in Massachusetts is driven by the SMART program which began in early January 2018. It is a long-term – 20-year – sustainable solar incentive program to promote cost-effective, high-value solar development where it is needed most. The program provides fixed incentives and compensation adders for eligible solar developers.